A young man who attacked a supermarket manager after he had been brawling in a store has been spared from custody after he has begun to turn his life around. Jake Reid, 21, of High Street, Buxton, had chased someone into the Sainsbury’s store, on Eagle Parade, Buxton, before scuffling with them and lashing out at the store manager Matthew Stone. The defendant told police someone had been kicking at his door and he had chased him around Sainsbury’s and he admitted hitting the store manager. 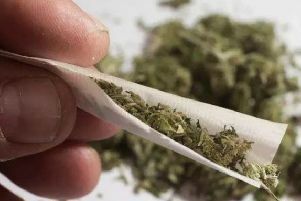 Reid, who has previous convictions, was given a warning after he had dropped cannabis at the store. However, he pleaded guilty to the assault which happened on April 17 and he admitted failing to surrender to custody. District Judge Andrew Davison had adjourned the case to defer sentencing until July 5. The court heard how Reid has not committed any further offences and he has been co-operating with the probation service. District Judge Davison said he was impressed Reid had recorded negative drug tests and his behaviour had been described as “exemplary” by the probation service and that Reid had expressed remorse. However, Reid was warned any repeat offending could result in custody. District Judge Davison sentenced Reid to a 12 month community order with a rehabilitation activity. He must pay £100 compensation, £85 costs and an £85 victim surcharge. He was also given one day’s detention but this was deemed served by time spent in custody.